Ten Kid-Friendly Songs to Get you Grooving! The big girls are arguing, the boys have decided that throwing their clean socks at each other is a good idea, there are piles of unfolded washing all around the house, I have lost that very important form, and I forgot to defrost dinner. It’s late afternoon and I’m hitting the slump. When the kids were little it used to be called ‘the witching hour’, but these days it’s definitely more of a slump. Everyone is tired, and hungry, and cranky, and it feels like I will never make through the next few minutes let alone hours. It feels like I am buried under that never ending list of things I have to do. It feels like I am wading through honey, and it’s so hard to keep putting one foot in front of the other. I just need something to change the mood. Something to break the spell. 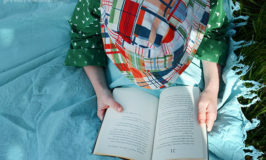 Something positive and fun to banish the slump. Lately that something as been music. Loud music and wild dancing will banish a slump, until at least tomorrow! Sure, my big kids roll their eyes at me and remark on my ‘ancient’ choice of music, but the louder the music and the more wild the dance, the more likely they are to join in. If nothing else, it makes us smile… and a smile is the beginning of better things. Here are our top ten kid-friendly songs to get you grooving and banish the late afternoon slump! Kid-Friendly Songs to Get you Grooving! This is just one of many great songs by They Might be Giants from both their kids and adult albums. You simply have to dance when you hear this song. I like to Move It – by Will I Am and sung by King Julian! The Madagascar movies are having a bit of a revival in our house, and so is this song. My girls love Tay Tay and I find her songs to be some of the most appropriate of the current teeny pop play list. This whole album, Snack Time, is great. Seven Eight Nine is another favorite, as well as the Ninja song. 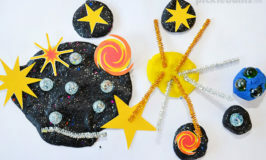 Ok so this is one of my all time favs and I will make my kids love it, I will! As an added bonus if you watch the video you can follow the dance moves. I Wanna be like You Ooh Ooh from The Jungle Book. Jump around like a monkey… go on, it will make you feel better I promise. Bonus points if you can do the ‘Bus Stop’ to this while also cooking dinner! Friend Like Me from Aladdin. Learn the words and lip sync while you dance… really, it’s fun! Please make sure you check out these songs and make your own decisions about whether they are appropriate for your family. Also be sure to check the video and the Youtube ads if you’ll be playing them to your kids. I’m talking about dancing your blues away today because it’s an awesome way to get out of a slump, but also to support my blogging friend Katey, and her family. In February of this year they had the life changing news that their beautiful, 18 month old, boy, Finlay had stage 4 hepatoblastoma – liver cancer. Finlay and his family have been courageously fighting this terrible cancer ever since, and today Finlay will have major surgery after flying across the conuntry to Westmead Children’s Hospital in Sydney. The #justkeepdancing project was started by Ellen DeGeneres to increase childhood cancer awareness, so this week, in support of Finlay, and for all children fighting cancer we are sharing a little dancing! 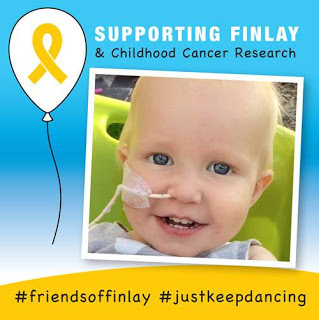 A group of blogging friends have come together to share some dancing ideas of our, and dancers, on our blogs and across social media in support of Finlay and the #justkeepdancing project. You can share Finlay’s story. It is his family’s wish that more people know about what he is facing so that awareness can be increased, funding can be increased and a cure for cancer can be found. You can follow Finlay’s story on his facebook page, Friends of Finaly. And you can just keep dancing… dance to get out of a slump, dance to show support for childhood cancer awareness, and dance to show support and send love to Finlay and his family. 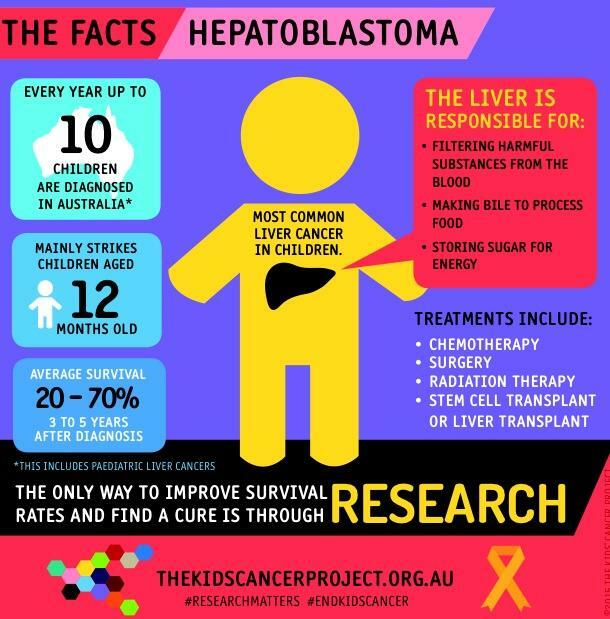 Do you know someone who is affected by childhood cancer? What’s your favourite kid-friendly dance song to banish a slump and to send love and support to families battling childhood cancer? Oh that is a great dancing song!! It’s such a fun song isn’t it! Oh I didn’t know there was an original film clip? We know this song as my boy’s teacher from last year used to get the kids up and dancing with the wii dance kids videos as a brain break and gummy bears was a fav! 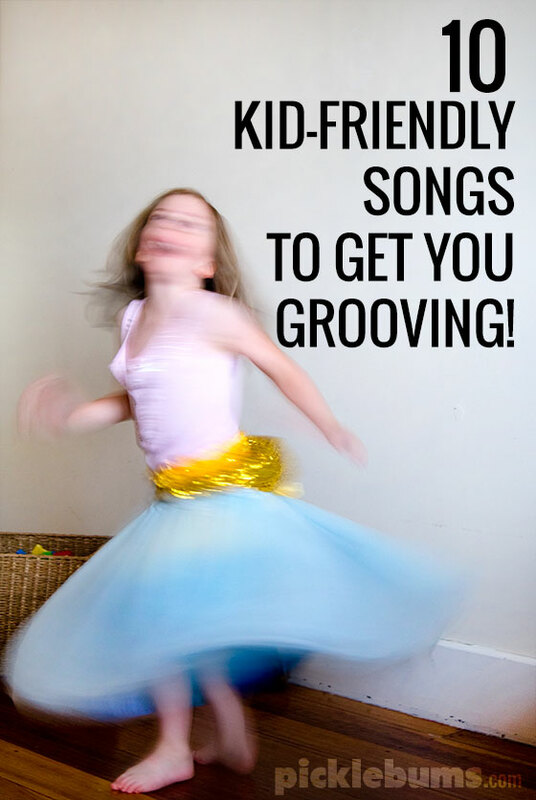 Home » Ten Kid-Friendly Songs to Get you Grooving!